BEIJING - The horrific incident shocked the nation when it went viral in China earlier this month: a woman dragged from her car, thrown to the ground and kicked repeatedly in the face and head in a case of road rage in Sichuan. And it was hardly an isolated event. About 100 million road-rage incidents have been reported since January 2012, according to the Ministry of Public Security. Incidents arising from drivers forcefully changing lanes or disrespecting the right of way rose 10 percent in the first four months of this year, compared with the same period last year, it said. “People are easily agitated nowadays, feel underappreciated and disrespected, and they take it out on the road by being bullies on the road,” Sun Xiaohong, a prominent female observer of the auto industry for more than a decade, said in an interview. As a result of the public debate over the video, the security ministry issued a statement May 8 calling on drivers to be “civilized,” follow traffic rules and manage their anger. 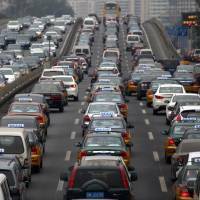 The anger in China is rising in tandem with the 10-fold surge in vehicle ownership over the past decade, causing motorists to fight for everything from parking spaces to right of way. Across the country, zebra crossings are routinely ignored by motorists, angry honking is epidemic and jaywalking is rampant. Road rage caused about 82,000 car accidents last year, a 2.4 percent increase over 2013, the ministry said. About one in three drivers surveyed by the Chinese Academy of Social Sciences in Beijing, Shanghai and Guangzhou said they were part of a “road-rage tribe,” meaning they had gotten into fights with other drivers, according to the public security ministry. “Driving etiquette hasn’t kept up with the number of cars and motorists,” Sun said by phone. In the Sichuan incident, which surfaced in early May, a man can be seen getting out of his car after forcing a female driver to stop in the road. He opens her door, drags her out, and flings her to the ground, repeatedly kicking her in the face and head, then throwing her to the ground again each time she tries to get up. Police in Chengdu issued a statement saying that a man called Zhang was “taken into criminal detention” in connection with the incident and is suspected of the crime of picking a fight and provoking trouble. The man was incensed that the woman had suddenly cut into his lane, forcing him to brake hard and scaring his wife and child, who were in the car, according to a report by China Central Television. While sympathy poured in for the woman after the beating video, public opinion soon turned against her after another video was released online purportedly showing her cutting off the man by switching abruptly into his lane. More than 10,000 commenters posted on the police’s microblog, many in support of the beating and using vitriol and offensive language against the woman. “Uncle policeman, I’d like to donate 100 yuan to the man to show appreciation for him enforcing justice on behalf of the heavens,” read one by a poster using the name Romance Milk Little Sister. “That damn woman totally asked for it,” another poster called Yuki wrote. The drastic turn in public opinion led the woman to apologize. Neither Zhang nor Lu could be reached for comment. Autohome.com, a popular car-information website, shut down the comments function accompanying an essay written by the commentator Sun after she posted that Zhang was wrong for physically attacking Lu. The essay drew defamatory and violent postings as well. Road rage may worsen. Official forecasts are for 1 billion Chinese to get their driving licenses in the next 10 to 15 years. 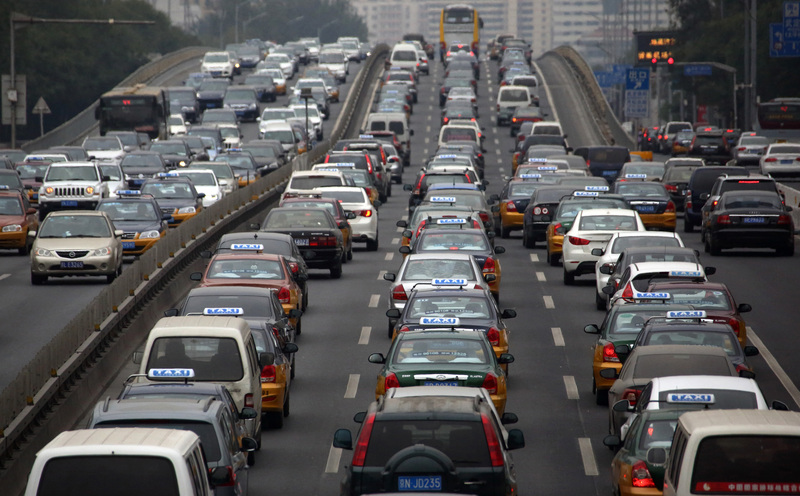 More than 150 million civilian vehicles were in use in China as of last year, according to the National Bureau of Statistics. The Chengdu beating isn’t even the most violent case of road rage in China this month. CCTV also reported on an elderly man who died in Yunnan after a Mercedes-Benz driver ran him over and fled after they argued over cutting in line.